Innovative medical device contractor ITL Group has partnered up with King’s College London (KCL) to develop a ground-breaking cancer imaging project. The project, funded by the EU Horizon 2020 scheme, brings a consortium of 20 companies, including technology giants Phillips and Siemens to take developments in engineering and Magnetic Resonance Imaging (MRI)and develop Magnetic Resonance Force (MRF) Imaging for new applications in cancer diagnostics. The project aims to address a fundamental need in planning and monitoring of cancer treatment by allowing better identification and sizing of cancer tumours. ITL Group joined the consortium in 2015 as a medical device design, development and manufacturing partner; becoming active in 2017 once earlier elements of the project had been completed. Re-imagining MRI for new applications could provide a non-invasive way to diagnose and measure cancer tumours. This project will produce three prototypes developed for use on brain, liver and breast cancer patients. ITL Group, who has 40 years of industry experience, will further develop KCL’s initial hardware design, and manufacture several prototypes, which will be presented to Harvard Medical School this summer. The hardware is an advanced vibration transducer which functions by measuring interstitial fluid pressure and cell traction forces. The global company, who has operations in UK, US and China, has taken the original three vibration transducers through a rigorous development process to improve on the initial concept. King’s provided ITL with an initial design and brief; to make the device smaller and more compact, more aesthetically pleasing, easier to handle and with improved performance and efficiency. ITL has made significant headway in improving the technology that can guide treatment choices in breast, liver and brain cancer patients - prototypes will be ready for trials in June 2017. ITL Mechanical Engineer, Dan Hollands, is leading the project, taking dual roles as Project Manager and Head Engineer. For the project, ITL has been trialling a state-of-the-art 3D printer to open up the possibilities of development and experimentation. As the transducer will be used in a MRI scanner it’s necessary that all components are plastic, therefore it lends itself to the 3D printing process. 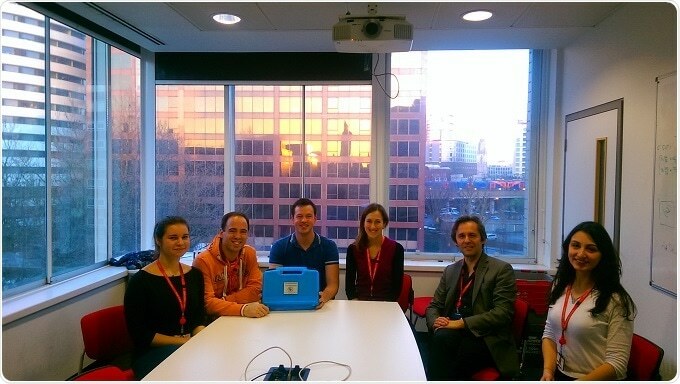 “Teamwork and collaboration is the key to achieving wonderful things - this fact may not be anything new but working on this fantastic project; developing equipment to measure the forces in and around cancer cells has helped us to predict outcomes, choose personalised therapies and even slow the spread of tumours. Unlike commercial projects ITL has completed over the past 40 years, this grant gives ITL free reign to experiment and innovate. Essentially the design and development process can continue to the capacity of the grant – giving Dan Hollands time to push the design to its limits. Over the year’s ITL has collaborated with a host of leading universities in the UK.